Euroflorist partners with over 54,000 local flower shops. So whether you send flowers in- or outside Europe, we can offer you the most reliable floral network in the world. With more than 30 years of experience delivering top quality fresh flowers and gifts, we promise you complete satisfaction on every flower order. Send flowers to all your friends, family, colleagues or loved ones. Send flowers for a birthday, special occasion, to say “thank you”, or just because! Our florists are located across Europe and around the World. All our florist members are selected with great care, to ensure we offer bouquets of the very best quality. Nothing compares to the scent of fresh flowers. Our florists know this better than anyone and take great care to ensure that all of our bouquets are delivered in the very freshest state. Order your bouquet of flowers through our website, select a delivery date and we'll take care of the rest. Be rest assured that we maintain a safe, secure checkout on all our websites. The engineer Peter Jungbeck starts Svensk Blomsterförmedling in 1982 together with his friend and business partner Lars Hedberg. With his technical background, Peter builds a new system that makes it a lot easier for florists to relay flowers between them. 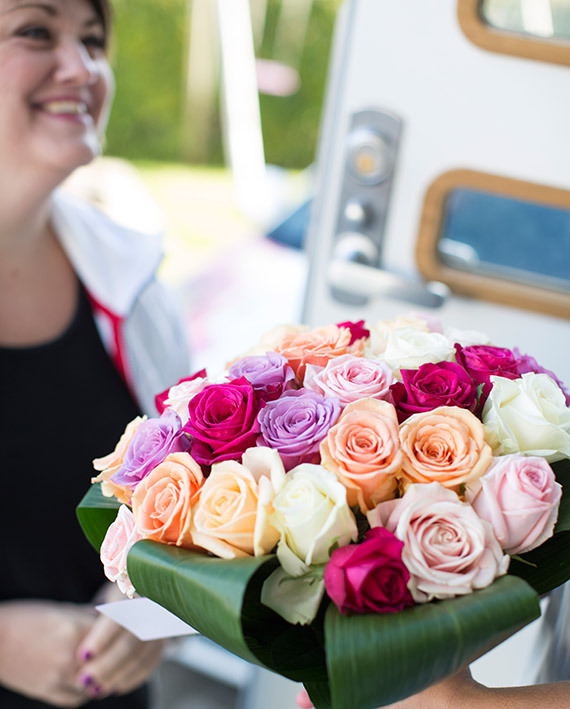 Soon Svensk Blomsterförmedling has a strong network of florists that delivers flowers across countries. As true entrepreneurs, Peter and Lasse threw themselves into the business with everything they had available. They sold their cars and apartments to invest everything in their new venture. From an attic on Norra Vallgatan in Malmö, they were in constant contact with florists to ensure all flower deliveries and payments were successfull. Svensk Blomsterförmedling became the representative for Teleflor International in Sweden. As a result, Swedish florists were able to deliver flowers all over the world. During this same period, the company moved to bigger premises on Torggatan in Malmö. When the University in Lund arranged a seminar on the new phenomenonal ”internet”, Peter quickly saw the potential opportunities for ordering flowers online. Euroflorist launched their first web shop in August 1995 becoming one of the first 100 online companies in the world! From the beginning it was possible to pay with credit cards on the website, although the transactions were handled via a Scottish bank, since no Swedish bank was ready to deal with online shopping at this time. Since it's humble beginnings, Euroflorist has delivered more than 41 million bouquets around the world, making millions of people happy. Although today we are a successful international company, the entrepreneurial spirit from the attic office on Norra Vallgatan is still alive. We work every day to exceed the expectations of our customers and florists and to spread happiness and joy through flowers – anywhere, anytime. This year Euroflorist is celebrating their 20th Anniversary in e-commerce. Questions about your order? Please find the contact details of your country and brand below. We exist to make it easier to make your friends, family, colleagues and loved ones feel happy, noticed and remembered and to make the lives of our florists easier and more profitable. Nothing compares to the scent of fresh flowers. 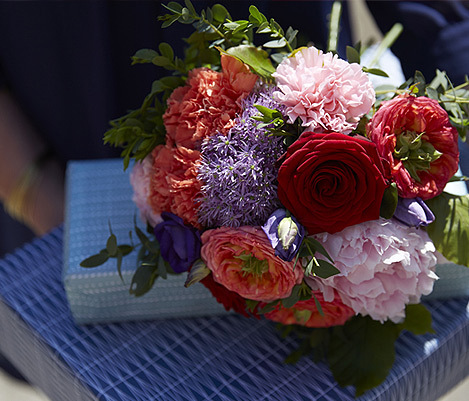 Our florists know how to capture the fresh scent of flowers from the garden, to the living room of your loved one. Every day we try our very best to keep you satisfied. To make sure you know how dedicated we are to our work, we have a 100% customer satisfaction guarantee. Copyright © All rights reserved - Euroflorist Europe B.V. - Hullenbergweg 250, 1101 BV Amsterdam, The Netherlands.